Hello! This blog post is brought to you by CT member Donna (djp332 in the forums). I am happy and excited to announce the first of many Recipe Challenges. 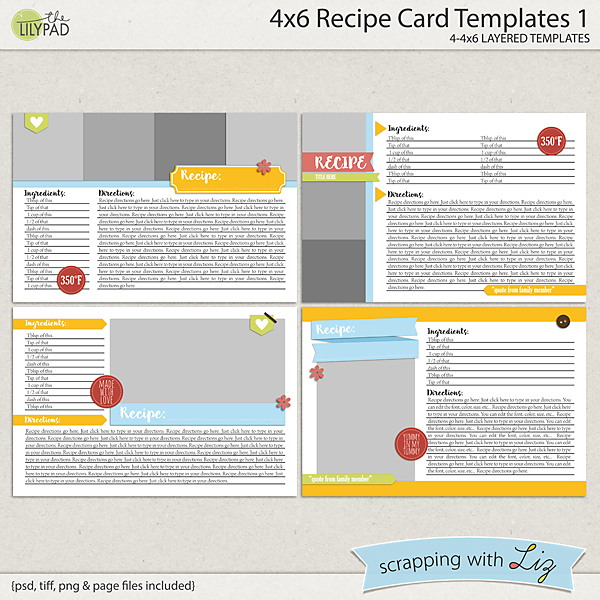 I’ve been making recipe cards for as long as I have been digi-scrapping. 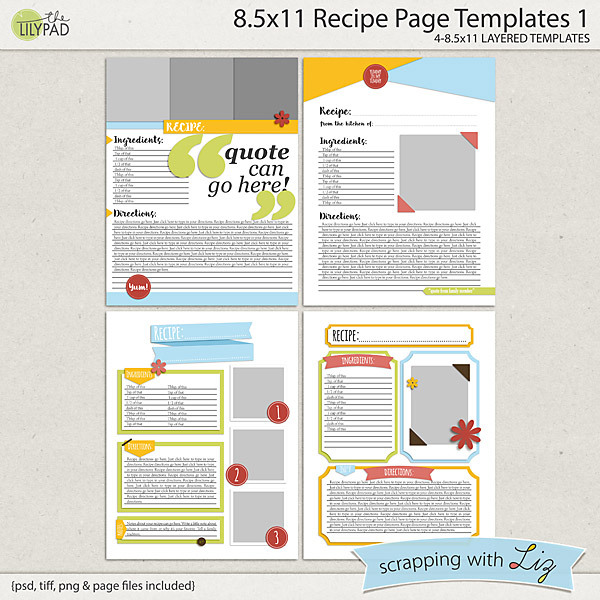 When Liz asked her CT for suggestions, of course I asked for recipe card templates. I like the ones I’ve previously used, but I was getting bored. Even with flipping and flopping them, all of my cards were starting to look the same. Liz just released 2 new sets at The Lilypad. A set of cards and a set of pages. 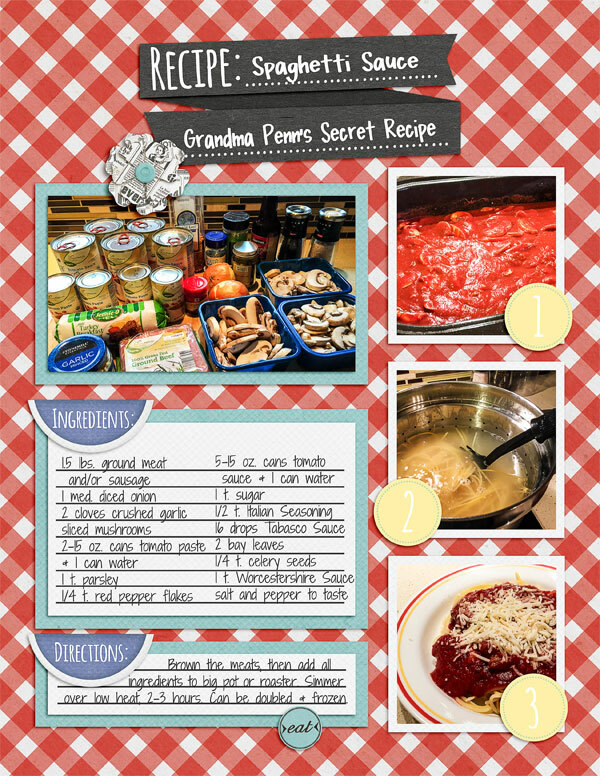 Don’t tell my daughter that I’m sharing this recipe. She thinks it’s a secret family recipe! LOL! The plan is to have a new challenge theme each month. By the end of the year, everyone should have a nice stack of cards or pages to print and to keep or give as a gift. My little wooden box is just about filled, so I will be buying a new one soon. I’ve printed my cards at Persnickety Prints. Their prints are not only reasonably priced, but also water-proof! I’ve actually rinsed mine under water when they’ve become dirty. Let’s get started! Since it’s been cold in my neck of the woods, I have chosen for January’s theme “Comfort Foods.” I’m excited to see what you all will come up with. 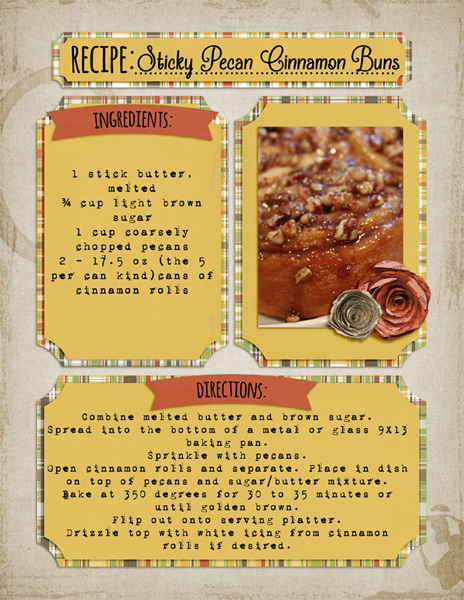 Post your recipes in your favorite gallery and don’t forget to post in the fan group, too. 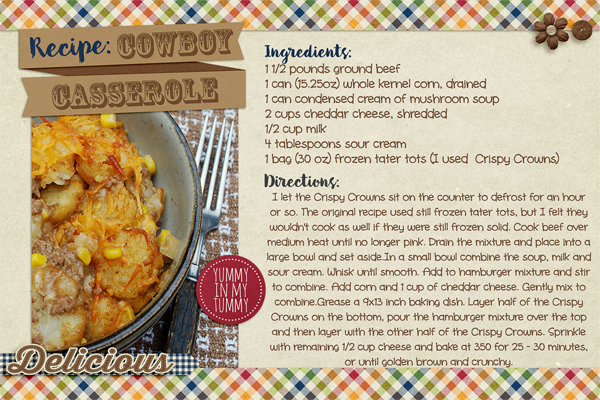 Liz has already started a challenge album in her Facebook Fan Group to post all the recipes. 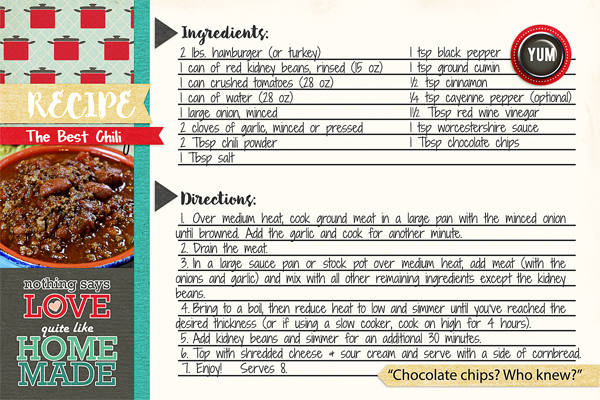 Please post the full resolution jpeg there so that we can all read your recipes. Here are some additional CT layouts for more inspiration. I think I might need to try some of these! 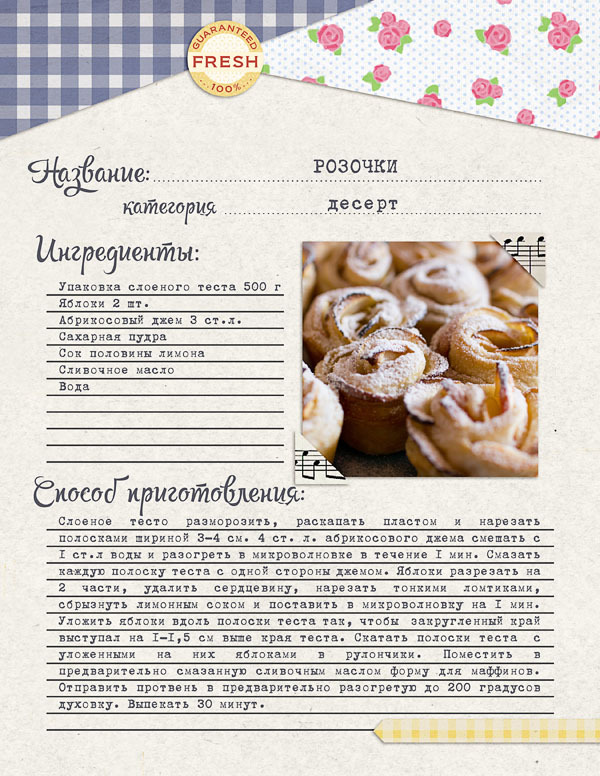 Click here for this recipe if you need a translation.